The X-Masque is a reduction of the famous Masque, it is a talented radical freestyler (a vented version exists). In its Rage version, it becomes aggressive ! "Press X, it makes tricks!" The Rage is the favorite X-Masque of L'Atelier. It is the second evolution of the famous standard X-Masque and goes further on the way of ultimate radical freestyle. The Rage is equipped with a new G-Force EXEL 1(*) carbon. 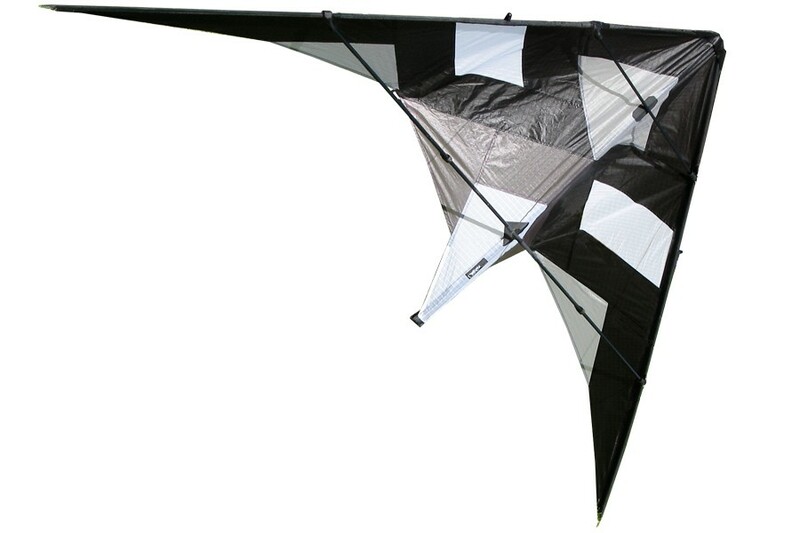 Its bridle has been adapted to the new behaviour of the kite. With a near to zero reaction time, the X-Masque Rage becomes a real games console. Tricks and figures are executed at the speed of light... "Press X, it makes tricks!" (*) G-Force EXEL 1 is a cylindrical structure made of spiral carbon, having a very fast answer, with no oscillation. It is the only structure on the market that brings to the Rage such extreme promptness for all the changes of rotation in radical freestyle.